Why can Americans not come together to celebrate the life of a great man without using his death as a domestic cudgel? The last headline echoes a recurring theme: Newt Gingrich, who is in the news for stalwartly supporting Mandela both now and during Apartheid, is portrayed as a lone voice in the GOP fever swamps. So who are these “hard-line conservatives” talking trash about Mandela? Well… um… they’re Facebook commenters. If you look for a conservative or Republican of substance* who has criticized Mandela since his death, you’ll find them far more scarce than the headlines that imply they are everywhere. Ha! O’Reilly, that lying liar, called Nelson Mandela a communist! OK, he was also “a great man” who did “stunning” things for his people, but he was a commie! I’m not a big fan of Bill O’Reilly, but in this case he’s right on both counts. 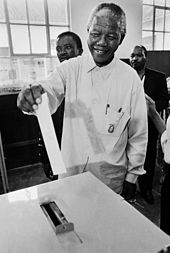 Mandela may or may not formally have been a member of the South African Communist Party, but his African National Congress (ANC) was closely allied with the Communists throughout the Apartheid era — and to this day, in fact. Fortunately, Communism no longer has a lot of traction around the world. The other label that gets thrown at Mandela is that he was a “terrorist” in the years before his imprisonment — and that also is accurate, or at least defensible. But despite the misnamed “Global War on Terrorism,” terrorism is not an enemy, it is a tactic. The Boston Tea Party was a famous, although not deadly, act of terrorism. I would ask of [Mandela’s] critics: where were some of these conservatives as allies against tyranny? Where were the masses of conservatives opposing Apartheid? In a desperate struggle against an overpowering government, you accept the allies you have just as Washington was grateful for a French monarchy helping him defeat the British. Look, there’s no question that in the 1980s and beyond, conservatives picked the wrong horse when they favored the Apartheid regime over Nelson Mandela. But South Africa was not the only tyranny America embraced during the Cold War, when Communism was still a potent threat. 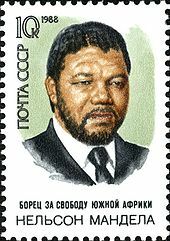 Conservatives (with notable exceptions such as Gingrich) opposed Mandela because he had embraced violence, and was seen as a threat to an African bulwark against Communism. in 1980s, conservatives didn’t have the benefit of evaluating Mandela on his post-imprisonment life. Whatever sins Mandela may have committed before prison were more than balanced by his consistent devotion to healing and reconciliation afterward. This is a man who seated his warden in a place of honor at his inauguration, who declined to nationalize the economy, who stepped down after one term when he could easily have become a president-for-life. Gingrich is not the only conservative to draw fire for praising Mandela. Ted Cruz also was savaged on Facebook after praising Mandela. Now four American presidents — two Democrats and two Republicans — have honored Mandela at his memorial service in South Africa, a fitting symbol of Mandela’s commitment to reconciliation. Most conservatives were wrong about Nelson Mandela and apartheid, just as they were wrong on essentially every question touching on race in our own history. It would be great to hear one of the people who were around then say, “I was wrong,” and explore what they’ve learned from that. But that may be too much to ask. The example of the Ayatollah Khomeini also was fresh in our minds. He went swiftly from exile in Paris to edicts in Tehran and quickly turned Iran into a vicious and bloodthirsty dictatorship at the vanguard of militant Islam. Nelson Mandela was just another Fidel Castro or a Pol Pot, itching to slip from behind bars, savage his country, and surf atop the bones of his victims. Far, far, far from any of that, Nelson Mandela turned out to be one of the 20th Century’s great moral leaders, right up there with Mahatma Gandhi and Dr. Martin Luther King Jr. He also was a statesman of considerable weight. If not as significant on the global stage as FDR, Winston Churchill, and Ronald Reagan, he approaches Margaret Thatcher as a national leader with major international reach. Requiescat in pace, Tata Mandela, and thank you. * It could be argued, I suppose, that someone with the title of Associate Editor of the conservative site PJ Media is “a conservative of substance”. His memorial post was headlined: “Communist Icon Nelson Mandela Dead at 95“. But Dave Swindle is not exactly a household name.